We’re here to take care of the details, allowing you to fully focus on your spiritual journey. Go Makkah has been formed to take the guests of Al-Rahman to the places of Pilgrimage and places of inspiration that await you to boost your Imaan. Go Makkah invite you to embark on a spiritual journey of discovery to the region which was chosen by Allah SWT to see the birth of our beloved Prophet Mohammad SAW. Go Makkah Limited has been formed with an aim to set the highest standard in excellence of service and professional competence. GO MAKKAH PROMISE to do everything humanly possible to translate your dream into reality when visiting the house of Ar-Rahman. We Gurantee Best Umrah Packages you can ever find. 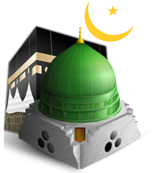 Organizing best Hajj pilgrimage, to offer you peace of mind. Enjoy UK trips, European coach tours & group flight packages. Go Makkah is the UK based Hajj and Umrah experts are pleased to provide you wide range and selection of Umrah and Hajj packages from all over the UK at your service. Go Makkah has been established to help pilgrimage of UK to the journey of a lifetime with a team of experts. Our aim is to provide you with a quality holy journey in order to seek the blessings of Allah (SWT). Whether you are looking for a package to perform Umrah, or Hajj obligation to bow before your creator and ask for your forgiveness. Go Makkah will take all possible steps so you can spend “your time” in peace. In addition to our Umrah and Hajj packages, you can find the best quotes and luxury hotels in Makkah or Medina on our website. You can discuss your requirements with us over the phone to attain our fast growing services from past years. Also fly with one of the best airlines direct or indirect, of your choice, to Jeddah or Medina from all major airports of UK. We don’t want you to be left alone at the airport, our representative will meet and greet at your desired airport to your destination with a wide range of transportation available for families, friends or groups. Go Makkah advisors guiding you throughout the way to the city of forgiveness and blessings. You may acquire information before traveling to Umrah or Hajj, our checklist or proper guide about how to perform Umrah and Hajj available on our Resources page on this website. You can find all information for Umrah and Hajj, places for Ziarats in Makkah and Medina or any updates from the ministry of Hajj to understand the rules of the sacred place of Islam, read our blogs. Let’s Go Makkah and find the peace for a new and precious life. If you have any questions about our Umrah, Hajj packages or wish to discuss your individual needs and requirements from a journey which you wish to book through yourselves, please do not hesitate to contact us on 0207 734 6070.